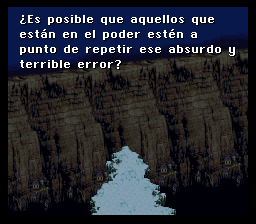 This is the spanish re-translation for Final Fantasy VI (SNES version), the well-known RPG game that was only released in Japan and USA. 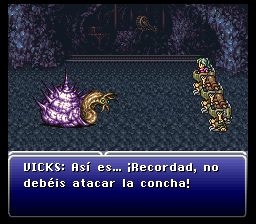 The original Spanish text is a bit confusing since some phrases don’t make sense, and it was realized that a complete retranslation was needed. Some of the censored text that didn’t appear in the USA version was re-added. 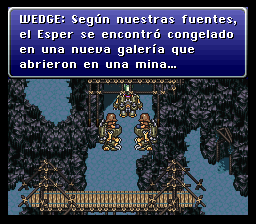 Since spanish phrases are usually longer than english ones, a dictionary-based compression was added to avoid ROM expansion to 32 Megs. Menus were modified to accomodate longer words and finally the whole menu engine was dumped and optimized (you can get the $C3 optimized and relocatable code here in RHDN), adding lots of bugfixes and re-reprogramming big parts of ASM code. 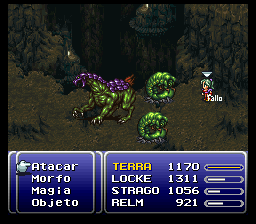 And finally, this version fixes some glitches in world map when running at 50Hz; they were caused by incorrect H-DMA. 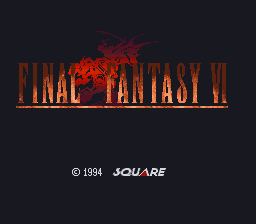 I also released the 60Hz, so you can choose play the PAL-optimized version or the NTSC version. You can find patch for USA 1.0 ROM in my webpage too.